The above rates are based on 2 Adults + 1 Child passengers traveling together. The rates may vary with the increase or decrease in no. of passengers. Gangtok: Nettle & Fern / Sikkim Retreat or similar catogary. Darjeeling:Swiss Hotel/Dikiling Hotel/Travellers Inn or similar catogary. Pick up from Bagdogra/NJP to via teesta highway Gangtok.Night Halt. After breakfast proceed for the sight seeing tour of Gangtok covering Directorate of Handicrafts and Handlooms, Enchey Monastery, Research Institute of Tibetology, Chorten ( Stupa ), Orchid Sanctuary, Rumtek Monastery, Ganesh Tok , Hanuman Tok & Tashi View Point.Night stay in Gangtok. After breakfast proceed for the sight seeing tour of Tsomgu Lake & Baba Mandir. Night stay in Gangtok. 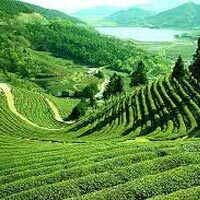 After breakfast proceed to Darjeeling Via Teesta ,Triveni.Tea Garden,Lunch at Pessok, After Lunch proceed via Lamahata,Batsay,Night Halt. 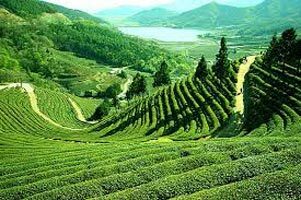 After breakfast proceed for the sight seeing of Darjeeling covering Parmesan Nadia Himalayan Zoological park, Himalayan Mountaineering Institute, Ropeway, Tensing -- Gumbo Rock, Tea Estate,Peace Pagoda. & Rock Garden -Gangamaya Park.Night stay in Darjeeling. Early morning excursion to Tiger Hill, Ghoom Monastery & Batasia Loop. After breakfast go for Mirik Lake via Nepal Border. Night stay in Darjeeling. After breakfast check out from the hotel & transfer to the Bagdogra airport for onward destination. People visiting Tsomgo Lake are required to bring photocopy of their valid Photo ID Proof of all the pax (Passport/Voter Card/ Driving Lenience (PAN CARD WILL NOT BE ACCEPTED) for adult and school / birth certificate for children below 18 years) with 4 copies of Passport size Photographs to our Gangtok office in advance in order to arrange the necessary permits. The original copies may be required to be shown on spot and should be carried during the tour. By paying supplements up gradation to higher category of hotels is possible. In Darjeeling there is shortage of water. Guests are requested to co-operate with any such problems faced during the tour. Advance money (25% of the package cost) is non refundable. No refund will be entertained in ase of tour cancelled after it starts. No refund will be entertained if the tour is cancelled due to bad weather, civil / political disturbance, or anything beyond human control. But there will be full co-operation from the entire team to make an alternate arrangement in such cases. Please feel free to call us for any further clarifications.